3. 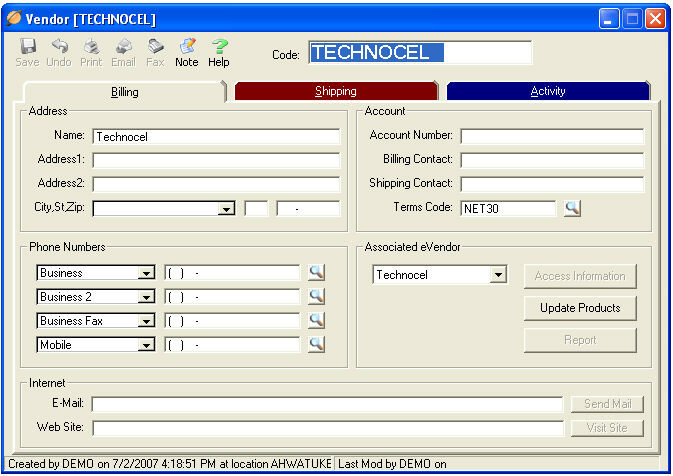 Select Technocel from Associated eVendor drop-down box and click Save. 1. Select Update Products and you should see the screen below. 2. Select the product you would like to add and choose the department from the department drop-down box on the line of the product selected. 3. Once the department has been added, the select button will become available. 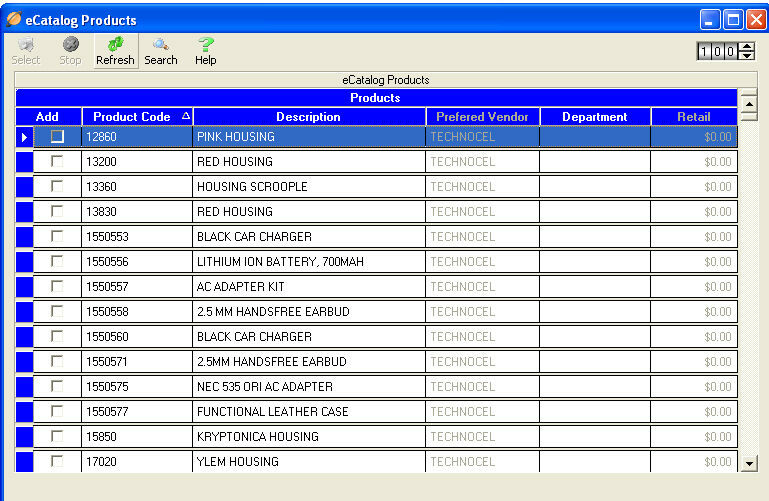 Click Select to add the product to product list in TeleTracker Online.